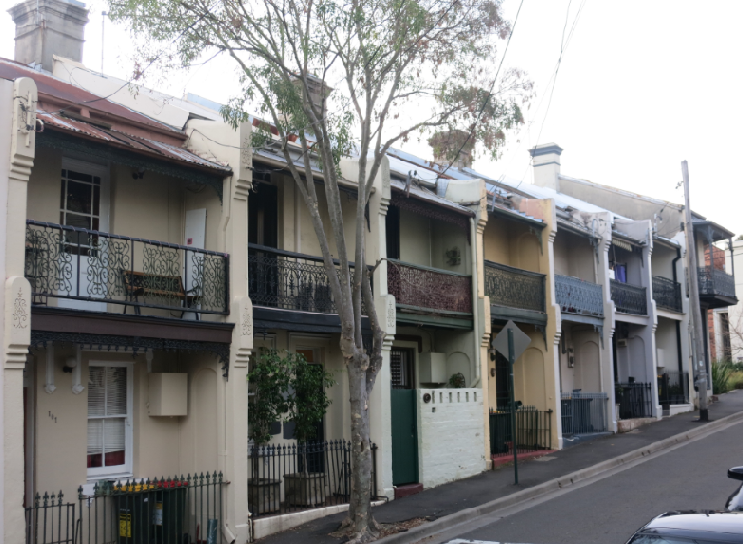 A group of 2 storey terrace houses of Victorian era. Although not of same colour scheme, & not period, the colours do not clash, but add interest to the buildings & their attractiveness to the streetscape. White colour of No 87 emphasises its overhanging verandah, reminiscent of early Victorian period. If period elements restored, not necessarily period colour scheme, would represent lively aspect of urban form. We found the fragment of newspaper during ceiling and roof restoration of our terrace house (87 George St Erko) in 2011. It was wrapped around the wires as insulation (electrical – yikes), I’ve heard that was common practice back then. We’d heard our house was owned for a long time by the same family, and was once a butcher’s shop and a corner store. The foundation under the house is the famous Sydney Sandstone, now unable to be found. When we bought it it still had a butchers hook in the window. It used to have a beautiful decorative stained glass window with some sort of brand name on it (like a painted Bushel’s sign) but we were unable to find it through the previous owners. When we bought the house the previous owners had it in storage somewhere but went and sailed around the world and we couldn’t track them down. The article was reprinted widely, and whilst the one shown here is the closest in appearance it is not identical. 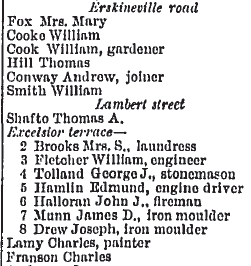 In a reprint of the article the following week reference is made to the article’s appearance in the Echo, an afternoon paper published by the Sydney Morning Herald from 1875 to 1893. The fragment might be from the Echo, but at present is not available to view on Trove . 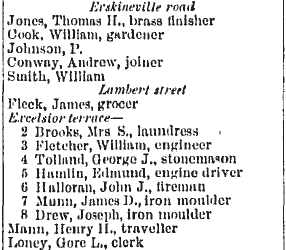 Nevertheless, that a newspaper published in mid-November 1884 was used to wrap the electrical wiring of 87 George Street Erskineville during its installation gives a great insight into the timing of the construction of the building. 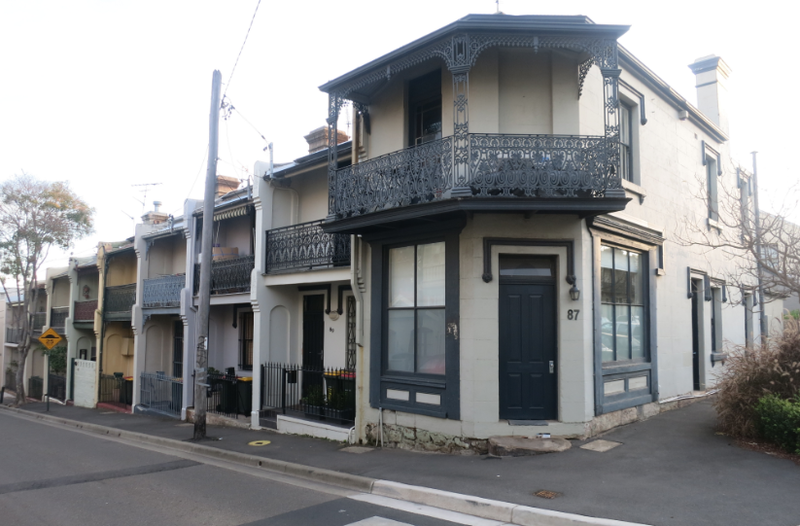 This entry was posted in 1880-1889, 1980-1989, George Street and tagged Erskineville, Erskineville History, Inner West, Macdonaldtown, Terraces and houses. Bookmark the permalink.